As we’ve said before, don’t take our word for it, go and stand in front of an Ultra HDTV before you make any decisions. 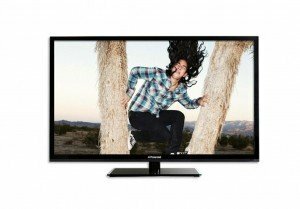 The Consumer Electronics Association (CEA) validates this recommendation with research from two studies: Consumer Perspective on Ultra HDTV (quantitative) and Consumer Perceptions of Ultra HDTV Technology at Retail (qualitative). 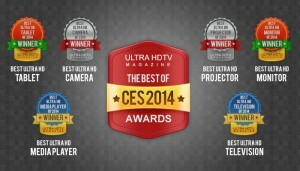 Best of CES 2014 Award Winners Announced! 2014 International CES is officially over, and we viewed a tremendous number of Ultra HD products and services at the show — significantly more than CES 2013. The development of Ultra High Definition over the past year has been extensive, and browsing the next generation technology on the show floors was truly astonishing. The name Kurt Angle is synonymous with professional wrestling and more recently, MMA — but the Olympic gold medalist has also been building up a very healthy resume of acting roles, which has led to his selection for the leading role in the new Hollywood TV Drama “Emergency:LA” (IMDB). Kurt has been cast as Sgt. 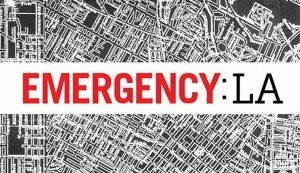 Gabe Mandell of LAPD Downtown, and the series follows the day-to-day adventures of his department, “Station 77” of LA City Fire Department, and “Trauma One” Emergency Medical Center. The innovators at Sharp have developed the Universal Player and Wireless Bridge, the first Wireless Speaker and Audio (WiSA™) Association- compliant Universal Player system. The Sharp Universal Player (SD-WH1000U) is the first Sharp component to transmit uncompressed sound at 24-bit/96kHz and video at Full HD (1080p) — wirelessly. Unlike previous sound systems that compressed the sound quality, the SD-WH1000U reproduces the source signal without degradation or delay. Watch the Sharp Electronics Press Conference live at CES 2014 in Las Vegas, starting at 9:00 a.m. Pacific Standard Time. Ultra HDTV Magazine will be covering everything Ultra HD, so be sure to check back often! With CES 2014 just hours away, LG got a head start by announcing their full lineup of Ultra HDTV’s. 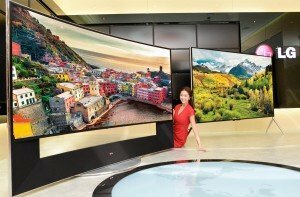 In addition to the ‘5K’ 105-inch curved Ultra HDTV (Model 105UC9) announced in December, LG will also be showcasing 65-, 79-, 84-, and 98-inch Ultra HDTV models. Polaroid, the brand that was once a household name for instant photography, is joining the Ultra High Definition race to reclaim their identity. The company just announced their 50-inch 4K Ultra HDTV for $1,000, which will be showcased at CES 2014 in a few days. The 4K TV (50GSR9000) will provide entertainment lovers with a cinema style experience with four times the resolution of a Full HD TV (1080p).